What’s the most exciting thing about reading? Arguably, it’s the fact that we can enter new worlds entirely different from the one we live in, and engage with characters that we find connections with. 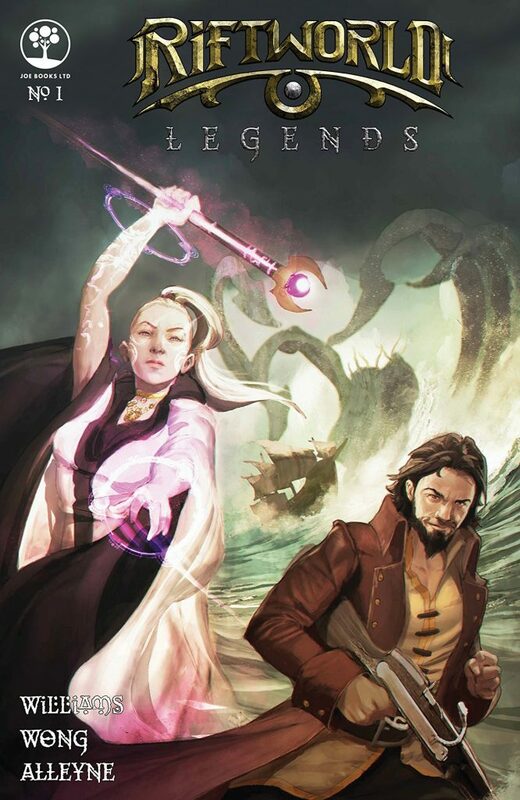 In this way, Jonathan Williams delivers an excellent first issue of his “ Riftworld Legends” series. Readers will no doubt be hooked in to the extremely fascinating yet mysterious world, anchored by characters that earn both our attention and admiration. The story serves as an introduction to not only the world, but also characters who will undoubtedly have a lot of significance as the series continues. Many characters are introduced, such as Jackie, an adventurous thief who is arguably the most enthralling part of the issue. Williams does a perfect job at creating a story that is a pristine blend of the past and the present. Everything in both the past and the present has significance to the story being told, and one of the more exciting parts of this issue is anticipation to learn more about how the two intertwine. As the story begins, we meet Fiona, who is just a little girl. She gets a visit from her Grandma, and begins to hear the tale of her great grandfather, Jackie, and his adventures in discovering a new world. One of the most intriguing parts of the start to this new series is the implication that Fiona’s an extremely important character, we just don’t know exactly why or how yet. Not to mention, an appearance from a strange group of people and a sea monster ensures that all of the foundation is laid for an intricate and elaborate story that you won’t want to miss! This first issue has it all; an exciting story in an intriguing world, top notch characters, and eye catching art by Daniel Wong that aids the imagination in visualizing such vivid settings. It serves up a lot more questions than it does answers, but it does so in an extremely entertaining way that will be sure to entice all readers to continue the series, wondering what’s next for our protagonists. I’d definitely recommend this issue to anyone who loves a great story, you won’t want to miss out on this one!